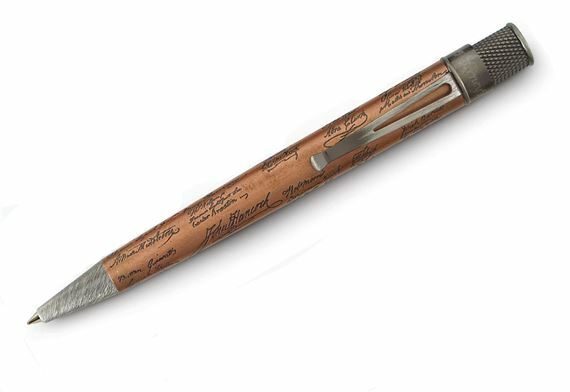 Order your Fahrney's Exclusive Retro 51 Acid Etched Signatures III Tornado Rollerball today from FahrneysPens.com. Fine Pens, Refills & Luxurious Gifts – great prices & fast shipping. 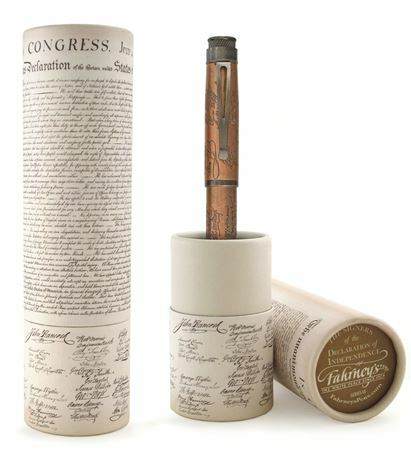 Fahrney's Pens and Retro 51 are proud to present the new 2017 special edition 'Signatures III' collection featuring the most famous of all American signatures - those found on the Declaration of Independence. 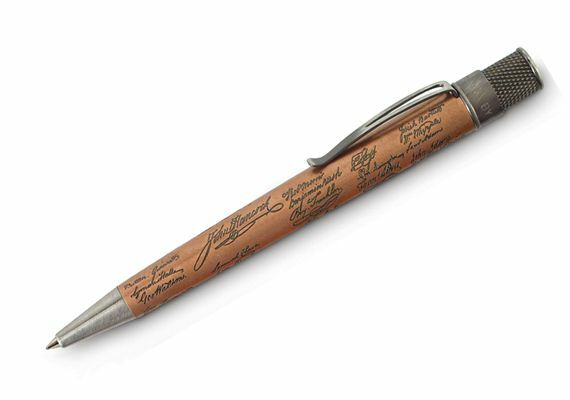 The Fahrney's Exclusive Retro 51 Acid Etched Signatures III Tornado Rollerball was created with the esteemed document's signatures acid etched on the brass-plate solid metal barrel and cap. The Retro Tornado-style pens are enhanced with brushed antiqued gunmetal clips and trim. The cap band is engraved with Fahrney's logo; the Declaration's date, 'July 4, 1776,' is stamped on the crown. The Tornado twist-top retractable rollerball gives you smooth-flowing ink. It can be switched to a ballpoint by replacing the rollerball with a ballpoint conversion refill (sold separately).